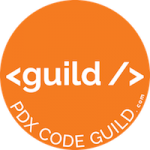 PDX Code Guild is an immersive training program in Portland, OR that gives students the skills and tools to become a developer. Students build their portfolio and receive individualized attention because of our small class sizes. 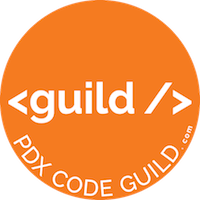 Use coupon code: BOOTCAMPS.IN$100OFF for $100 off tuition. $500 discount if paid in full before the first day of class. $300 discount if 2 $4000 payments are made as agreed during the course of class. $2000 Scholarships available for women, veterans and people in a demographic that is underrepresented in the tech industry. $500 discount if paid in full before the first day of class. $300 discount if 2 $4000 payments are made as agreed during the course of class.